"Qualifications of Men", which also known as "Who is the Man", is a popular Korean variety reality TV show (having 26.6% of audience rate). It won a Minister's award at the '2010 Korean Contents Awards' and also won couple awards at the 'KBS Entertainment Awards'. The theme is "101 Things a Man Must Do before He dies". A crew of male celebs with different ages and personalities get together and take on missions. By taking on missions, they meet many mentors in different areas, learn and practice things they should do as a "real" man. The missions range is from physical challenge to awakening the emotional sensitivity. The previous missions includes: 'Marrying Again', 'No Smoking', 'Going to a national army for twice' , 'Child Day Care Practice', 'Live young and healthy', 'Man and Tears', 'Where my friends live at', 'Man having Debates', 'Knowing with Wisdom', 'Paragliding', 'Part-time Job', 'Making UCC', 'Biking Tour', 'A Man vs. 17 Men', 'Becoming Macgyver', 'Wakeboarding' 'Forming a Band', 'Choir' and other missions. Now, their mission has moved on to "Gui Nong" which means "going back to farming". 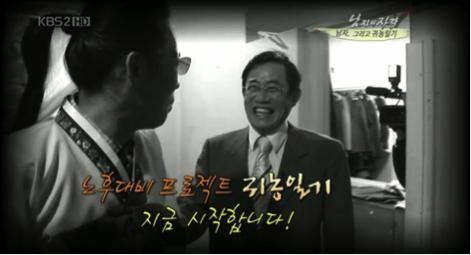 One of their popular missions was forming a 32-member choir and take part in a GeoJae national choral competition. The mentor was Park Kolleen and she even received a "Special Award" at the 'KBS Entertainment Awards' program. Auditions were held; the musical actors, pop singers, comedians, and other entertainment related people were selected. 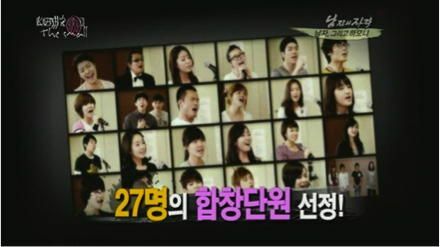 Most of them had no choir experience before, so they had to put hard efforts for getting along together which made the show very touchy. Especially when they had an awesome performance on the stage, it surprised the audience and made them to acknowledge how hard they'd worked. 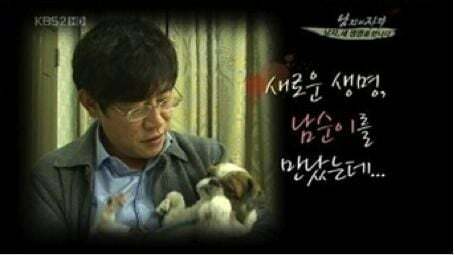 The Korean reality TV show seems like it has two essential factors: Fun and Sincerity. Showing of how male celebs going through physical and emotional challenges sometime make the audience to laugh but at the same time, it moves their hearts. A lot people now days are lacking of passion and satisfaction over what they really want; they are so busy just living a life. 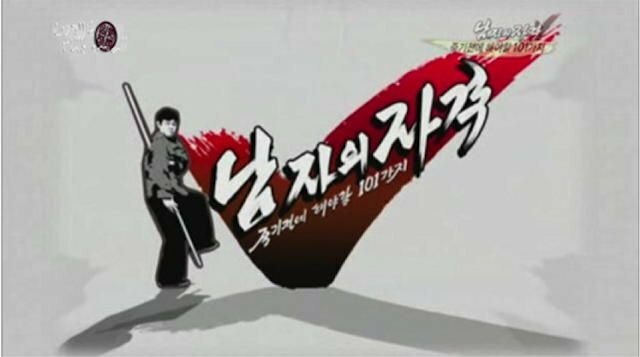 Therefore, seeing a Korean reality TV show with challenges and achievements connects the audience with the satisfaction as if they themselves have accomplished something just by watching. They will continue taking on missions in 2011. Their missions will include backpacking trip, tap dancing, making a short film, performing a samulnori (Korean traditional recreation), and venturing a company. It seems like they will have such a challenging year, making the Korean reality show sound more interesting. 2011: Year Of Male Idol Duos?